Keeping your home clean can be motivating. People feel better about themselves when their home looks good inside! However, doing so is no small feat. 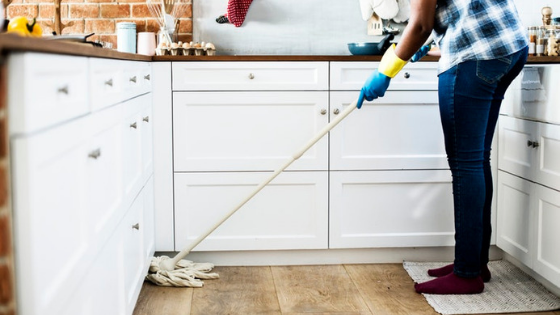 These tips will help you keep a clean apartment in 2019. Don't let the mess pile up. Do a little bit of work every night. Focus on a different room each night per week to keep the whole apartment looking its best. You might dedicate 10 minutes to housekeeping or half an hour. The more time you invest during the week, the less time you'll have to spend deep cleaning on the weekend. Practicing will make you faster and more efficient, so you'll find your job easier as time goes on. Clutter makes it hard to clean. Covering surfaces in papers and knickknacks makes it hard to dust and vacuum. Even if you do spend a lot of time cleaning, a cluttered apartment just looks messier than an apartment that isn't cluttered. Investing in organizational systems can control this problem. Before picking organizational systems, measure your closets and the spaces where the organizational systems will fit. Buy modular systems, so you can build on them as you need more. It's easy to clean your bathroom sink when a disposable wipe is easily accessible in the cabinet. Keep cleaning products in easy reach to make your cleaning more efficient. Cleaning every day can get expensive if you're using commercial cleaning products. However, for many purposes you can use natural cleaning products found in your own kitchen. Baking soda and vinegar are good for cleaning surfaces such as counters, stoves and even floors. Keep these products on hand to make your cleaning experience natural and inexpensive. Winter is the perfect time to develop good habits in a new home. Creekside at Legacy welcomes you to view our apartments in Plano, Texas! Contact us today to make an appointment.